Choose student housing at Jefferson at Westtown, an elegant residence just a short drive from the University of West Chester. Spend your weekends browsing through the high-end boutiques and off-beat thrift stores dotted along downtown’s main streets. Or shop until you drop at the King of Prussia Mall, one of the largest retail spaces in the country. Rest your weary feet at any of the top-notch cafés in town. Try High Street Caffe, a funky dive that serves Cajun-Creole classics with cocktails, or design your own pizza at The Couch Tomato Café. West Chester is considered to be one of the world’s most perfect small towns. When you live in Jefferson at Westtown you’ll easily see why. 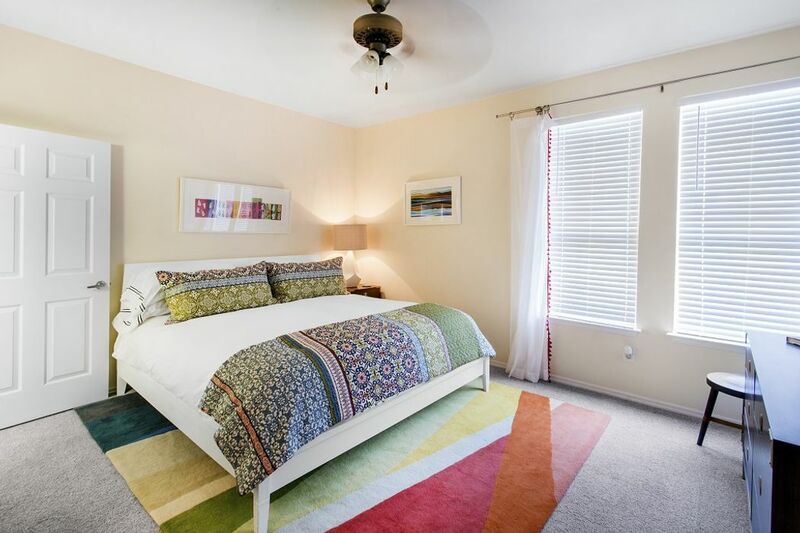 This luxurious student housing is located four minutes’ drive from class and close to the historical sites and buzzing social scene that make this quaint village so popular. Learn about the American Revolution at Sandy Hollow Heritage Park, just a six-minute drive from home. Take in an art exhibition at the E.O Bull Centre or catch a play at the Madeleine Wing Alder Theatre on campus. 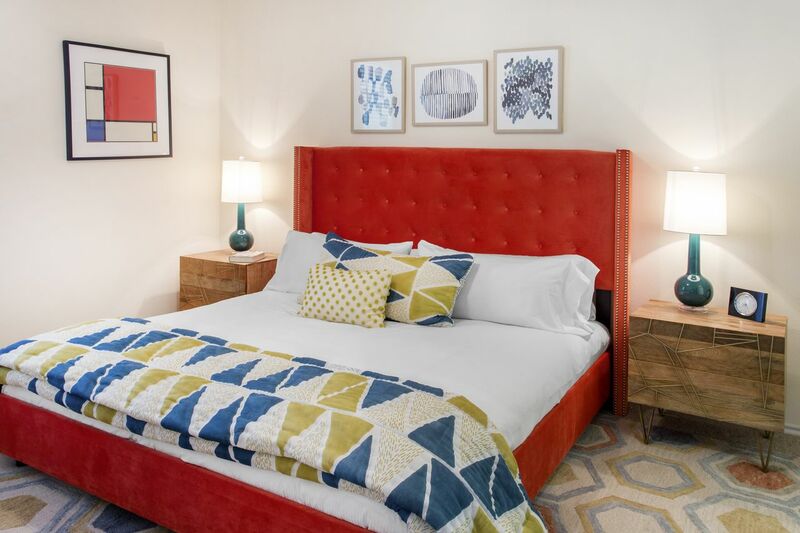 After your adventures, you’ll be happy to come back home to Jefferson at Westtown. Walk into the beautifully landscaped gardens and past the exclusive clubhouse and swimming pool to your one, two or three-bedroom home. 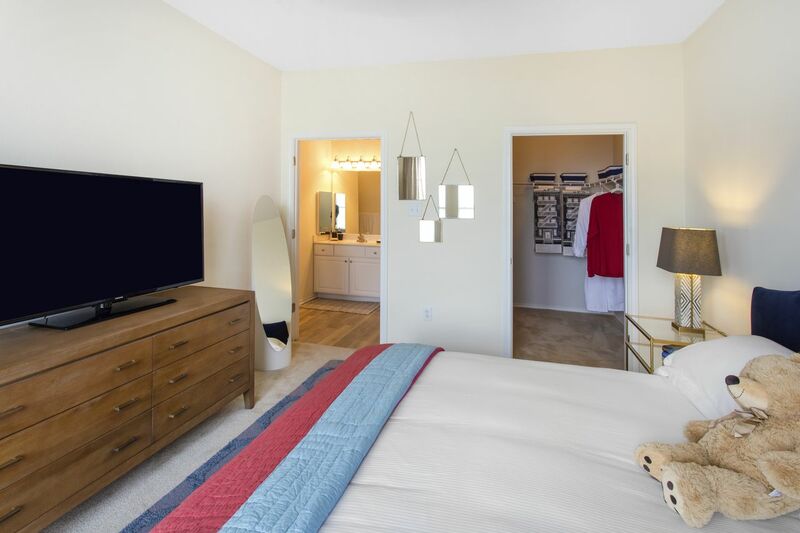 Watch cable TV while you warm your toes by the gas fireplace, or make yourself a snack in your spacious kitchen with microwave, stove and dishwasher. Open up your laptop and use the high-speed internet to check your emails and assignments, then freshen up with a long, hot shower in your private or shared bathroom. When it’s time to relax and unwind, there are plenty of options right outside your front door. Swim a few laps in the resort-style pool or get your heart racing with a session in the 24-hour fitness center. Invite friends over for a sunset picnic in the lush green gardens, or catch up on your reading in the stately clubhouse. The village is also pet-friendly so you won’t have to leave your four-legged friend behind. Wir haben leider keine Unterkunft gefunden, die deinen Wünschen entspricht.Alle Ganze Wohnung in Jefferson at Westtown ansehen.